Happy Monday friends!! Sorry for being MIA the past couple of weeks, work has been absolutely cray and last week we took a much needed ski vacation in which I completely unplugged. Though work is still a nut house (send help! 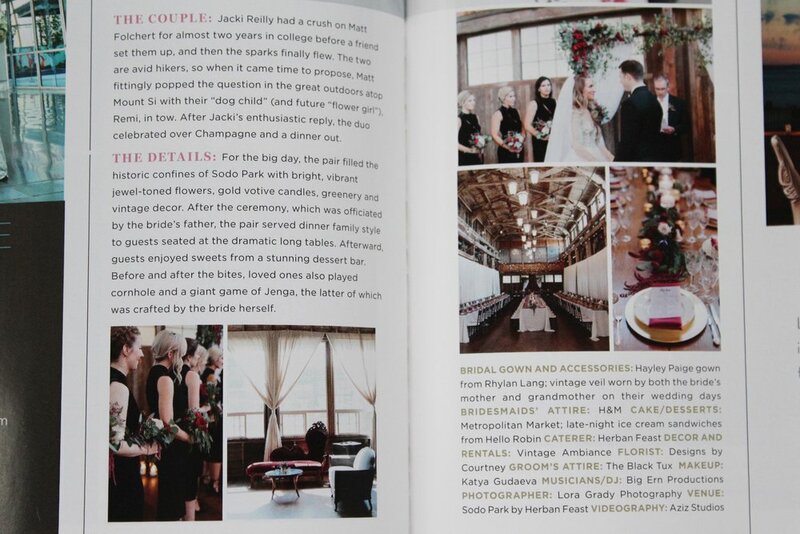 ), I couldn't help but jump back into things with the best news ever: our wedding was featured in Seattle Bride Magazine!! Our amazing, incredible, favorite-person-in-the-whole-wide-world photographer Lora submitted our wedding last Fall and I have been holding my breath to tell you guys ever since! It is a tiny feature but I'm still so excited. 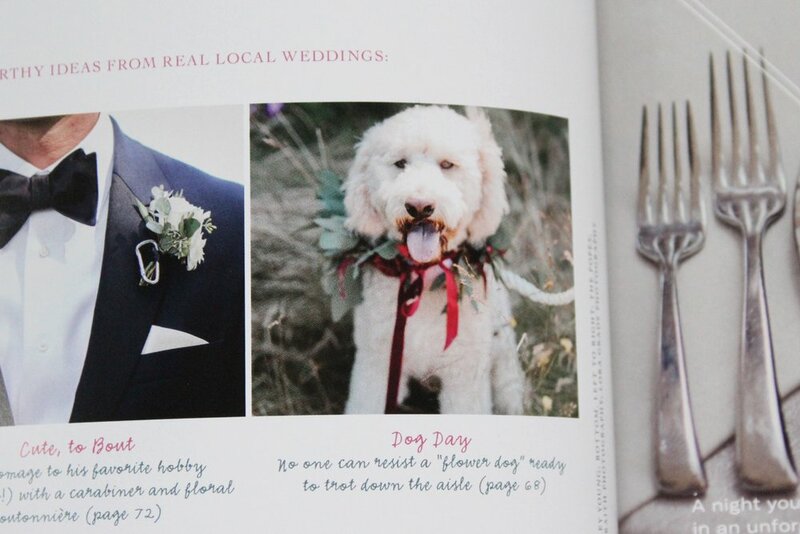 Our pup Remi even made the Editor's note! Want to see more? Find our wedding photos and vendor list here or search 'wedding' in the bottom of our homepage for loads of goodies.